Supreme Cleaning (Kent) Ltd are a team of professional, competent commercial cleaners who specialise in the provision of commercial window, floor and carpet cleaning services to businesses of all sizes across Lewisham. As a company we have many years’ experience and are fully trained, insured and reference checked, so you can expect a high quality, consistent and reliable level of service all the time. Whether you require first-class cleaning services for your office or company branch, or you have a clubhouse or social venue that needs sprucing up, Supreme Cleaning are here to help. We offer a number of different commercial and deep cleaning services designed to suit the needs of each and every client we serve. Our commercial carpet cleaning service is designed to revitalise and renew your carpets where you may normally seek to invest in a replacement. We provide commercial carpet and upholstery cleaning services in addition to applying stain protection products to ensure that you get the most out of your carpet. Supreme Cleaning also provide specialist commercial floor cleaning services where required. With experience in cleaning and buffing a wide range of different floor styles, Supreme Cleaning provide stone floor cleaning, vinyl floor cleaning, laminate cleaning and more. We also use a variety of materials and appliances to get the best possible shine on your floor, using specialist steam cleaning equipment. Our commercial window cleaning service in Lewisham is second to none, as we understand the importance of ensuring that your office stays spotless from top to bottom. With both interior and exterior window cleaning services provided, we use only the best professional reach and wash systems, allowing us to deliver efficient results every time. We regularly provide our services to offices and facilities from a wide range of different businesses and industries. Our commercial carpet and floor cleaners in Lewisham work hard to ensure your corridors, cloakrooms, meeting rooms, lifts and more are spotless and makes a positive first impression on your visiting clients and customers. We possess a service level agreement that guarantees 100% reliability, so you can rest assured that your facilities will be a safe working environment for colleagues and employees. 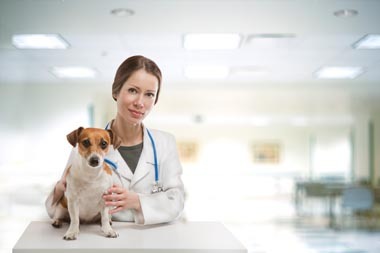 Surgery Cleaning – In recent years we have taken up the cleaning responsibilities at various veterinary surgeries across the South East as practice managers look to outsource their cleaning so that they don’t have to worry about the problems related to in-house cleaning such as absences. It’s essential that bacteria and hygiene are priorities in any surgery environment in order to keep visitors safe from the spread of contagions and we have all the products capable of killing germs and bacteria at our disposal. Commercial Venue Cleaning – Our cleaners in Lewisham also provide our services for golf clubs, concert halls, Masonic lodges and many other sporting and social venues. We are capable of cleaning any premises to make sure it makes a good impression on visitors or guests of large events or celebrations. Wherever we provide our daily contract cleaning we look to maintain a high level of service at all times. 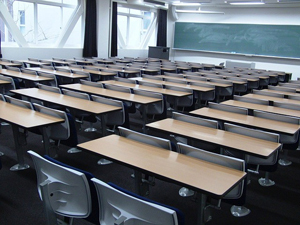 Daily Contract Cleaning for Schools – We understand the importance of a clean, hygienic educational environment which is why we provide our daily contract cleaning services to schools and colleges across Lewisham. We are devoted to helping children learn in a healthy environment. We have all the products needed to restrict the spread of germs in a classroom and prevent future absences. If you’re keen to find out more about the services our commercial window, floor and carpet cleaners in Lewisham have to offer, call us today on 01322 384500. You can also fill in the form below with your details and get a completely free, no-obligation quotation on any cleaning services required. We look forward to hearing from you.